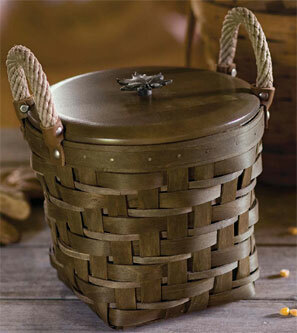 In an age where many things are mass produced, Longaberger is still producing quality hand-woven baskets. The company was founded in 1973 by Dave Longaberger and in continues thrive by offering quality and innovative products through its network of Longaberger of 45,000 consultants. Dave Longaberger passed away a year after its 25th Anniversary in 1998, but through his vision of the future and the many initiatives he began at The Longaberger Company, his legacy will continue. Their appeal lies in their beauty and functionality, and the individuality of each basket. Today each basket is signed and dated by the weaver, and burned on the bottom of the basket is the Longaberger logo. Although the baskets have been produced in the Dresden factory for 25 years, they have only recently been considered as a collectible. 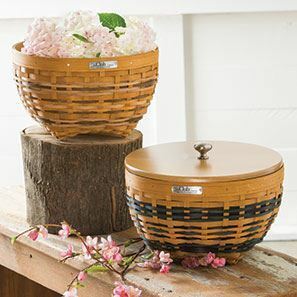 The rapid growth in interest in the Longaberger baskets is considerable and has been accompanied by an increase in the secondary market. There is demand for early baskets, as well as other retired and feature baskets. Feature baskets are produced for a limited period and after that time are not manufactured again. Other series of interest are the J.W. Longaberger line. J.W. Longaberger was Dave Longaberger’s father and the series is based on his original designs. Twelve were produced, one each year from 1983 to 1994. These are avidly sought after. Collectors are now able to become members of the Longaberger Collectors Club. Members have access to exclusive products, offers, the Longaberger Signatures magazine, events and information available to members only. Collectors also have the opportunity to visit the Longaberger Homestead at 5563 Raiders Road, Frazeysburg, OH 43822. The Longaberger Homestead features a massive basket shop, a walking tour, and of special interest are the J.W. Longaberger Workshop attractions including basket woven by J.W. Longaberger himelf, and themed basket collections Christmas, Easter and others spanning the The Longaberger Company. This site is not authorised or in any way associated with Longaberger.TM. The purpose of these pages is to provide information to collectors of Longaberger Baskets.